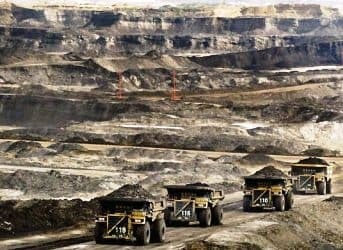 As Canadian energy stocks are finally seeing a bit of a push, and demand for Canadian commodities looks set to rise, juniors are confident that economics will ensure that Canadian oil—the cheapest in the world—will find its way to more markets, with or without Washington’s approval of Keystone XL. In the meantime, some sweet spots in the Western Canada Sedimentary Basin, like the Montney shale formation—are showing promise as gas turns into oil for the bigger players, while the juniors are hoping to piggyback on this new success. Canadian management teams have got so used to deep oil price discounts, we focus only on developing top assets—ones that payout in a year on $75 oil. That’s certainly true for the juniors—and there are hundreds of them in Canada. We have become a lot more disciplined in the last year as investors switched from growth at all costs to sustainable growth; growing within cash flow. Colin Soares: It means we can budget on at least $70 oil, which is what we’re doing. James Stafford: Canadian heavy crude is sold at a large discount to US and world crude, but analysts are now predicting the end of these big price “differentials” as they’re called, for Canadian heavy oil. Do you see an end to this volatility, and what factors will contribute to closing this gap? Colin Soares: Differentials will stay larger than normal—though what’s normal anymore?—through Q1 2014 until more pipeline capacity gets into place around North America. There is 800,000 barrels a day of refining capacity coming online in just the next two weeks! That is more competition and will raise North American oil prices. And pipelines are racing to keep up to production increases and doing a good job. TransCanada’s Keystone South project will be starting in just a few weeks taking oil from Cushing down to Houston. James Stafford: How much depends on Washington’s approval of the northern leg, the Keystone XL pipeline? Colin Soares: Fundamentally, not as much as before—because of huge increases in crude being transported by rail—but from a market point of view I think it’s still a big deal-- I think market valuations would increase with Keystone approval. Colin Soares: I think the market will be more focused on balance sheet and financials, not just straight growth, or growth at any price. It’s a lot more about sustainability now. With a lower oil price, you will have to show you can grow inside cash flow, or very close to cash flow. Plays where the wells payout their costs really quickly—like around a year--will get a premium. And that’s the type of asset we have. Western Canadian Sedimentary Basin is one of the largest gas deposits in the world—some 450 trillion cubic feet of gas, 14.5 billion barrels of liquids and 1.1 billion barrels of oil. What does that mean for the Canadian energy industry? And so when everybody starts drilling these big gas wells, they’ve been finding oil as well. And you’re seeing a lot more exploration now targeting light oil to the North. The oil is shallower, and so it’s cheaper to get it out of the ground—it’s actually a perfect play for a junior like High North. Colin Soares: There are several companies working in north-western Alberta who are having success developing the Montney oil play. Long Run Exploration recently announced a $110-million expenditure to develop its Montney oil project—they’re right beside us developing a big fairway. RMP Energy recently raised $50 million through GMP Securities, bringing their capital budget to $168 million for their Montney project. James Stafford: What’s the sweet spot in the Montney formation for oil? Colin Soares: That’s too early to say yet. I would love to say we are in the sweet spot, being as Long Run is just to the north and east of us and RMP is just to the south and west, but the reality is that RMP right now looks like it has an initial sweet spot at Ante Creek.